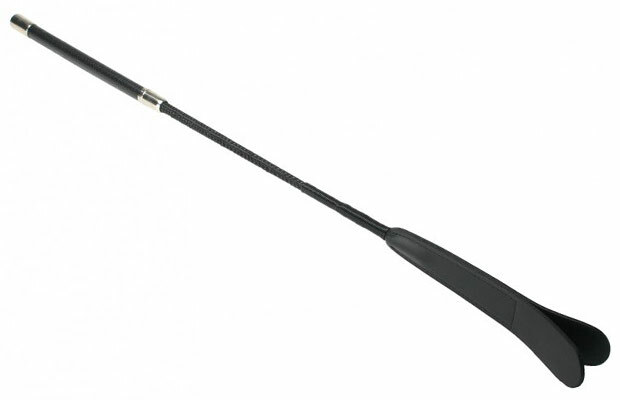 This premium leather riding crop is a fantastic impact tool. The handle is wrapped in a layer of leather with a metal tip. The shaft is rigid, but has a little flex, so on impact the split leather tip provides a nice bite.